Before becoming a member of the Board, Dr. Blinder served as a Member of President Clinton's original Council of Economic Advisers from January 1993 until June 1994. There he was in charge of the Administration's macroeconomic forecasting and also worked intensively on budget, international trade, and health care issues.During presidential campaigns, he has served as economic adviser to Bill Clinton, Al Gore, John Kerry, and Hillary Clinton. He continues to advise numerous members of Congress and officeholders. He also served briefly as Deputy Assistant Director of the Congressional Budget Office when that agency started in 1975, and testifies frequently before Congress on a wide variety of public policy issues. Dr. Blinder was born on October 14, 1945, in Brooklyn, New York. He earned his A.B. at Princeton University in 1967, M.Sc. at London School of Economics in 1968, and Ph.D. at Massachusetts Institute of Technology in 1971–all in economics. 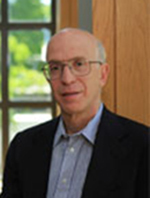 Dr. Blinder has taught at Princeton since 1971, and chaired the Department of Economics from 1988 to 1990. He was the Founder and either Director or Co-Director of Princeton's Griswold Center for Economic Policy Studies from 1989 to 2011.